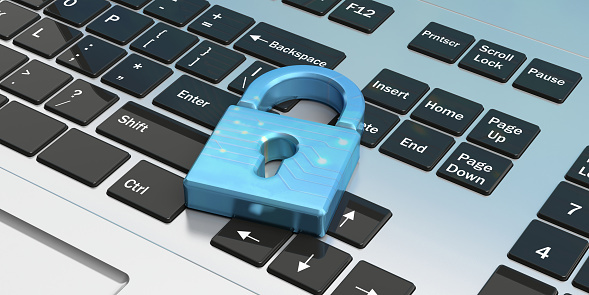 What Are the Best Ways to Improve Law Office Cybersecurity? As technology continues to evolve, those people threatening it adapt as well. This is also true in the legal sector where a breach in security can be devastating. Clients are demanding more from law firms by way of protection. Firms are scurrying to respond. Unfortunately, those offices with even the most advanced IT teams are often deficient. They have weaknesses that they are unaware of. In a few months when cybercrime has made further advances, those vulnerabilities will have multiplied. Individual law firms generally realize that the plight is not theirs alone. Cybersecurity works better when networks cooperate. Since it is about sharing information, it is essential that offices band together for their common good. By taking a few small steps, law offices can enhance their organization, and utilize the more affordable security resources available. In this way, they can fight the problem together. How Will Appointing a Security Leader Benefit a Law Firm? Appointing a dedicated security leader and the team helps identify cybersecurity goals. It also encourages the development of actionable strategies. This is especially important in a law firm. The consequences of a breach in security here are not only dire and embarrassing, but they could result in charges of noncompliance. The CISO and security team are different than the IT department. They are security experts. Their responsibilities will have surpassed the IT department’s general abilities and purpose. Why Should Law Offices Develop Cooperative Partnerships? There is safety in numbers. By building strong communication security information-sharing communities, firms are able to divide the challenge of keeping up with potential threats. In this way, they are able to identify and eliminate weaknesses in their systems. Cybercriminals sniff out vulnerabilities and strike. It is nearly impossible for any single office to remain on top of all of the conceivable problems. This is why it is advisable that they band with organizations that can help. An important step would be to join the Legal Services Information Sharing and Analysis Organization (LS-ISAO). It is affiliated with the U.S. Department of Homeland Security. It acts as a vehicle for announcements, updates, and threat alerts from the U.S. Computer Emergency Response Team, as well as other pertinent agencies. Joining a strong information-sharing, cooperative partnership better allows firms to identify issues in their systems before it’s too late. Then, they can fortify their security when it needs it most. How Will Partnering with Outside App Developers Improve Security? Outside software-as-a-service (SaaS) applications enable law firms to beef up security without depending solely on their internal defenses. This allows them to improve their protection and adapt to ever-evolving technology. Additionally, working with outside sources increases access to the latest developments. This is something that is difficult to do for even the most technically savvy CISO in a law firm. By working together, they may develop technology that is specific to the needs of the firm and its clients. What Does a Layered Set of Security Technologies Include? No longer is a one-layer system sufficient for securing a law office. Cyberspace has gotten complex. Hackers and other cybercriminals have become very sophisticated in their skills and knowledge. This means their approaches are also advanced. Lastly, offices should invest in measures to improve resiliency, such as micro-segmentation. Even if intruders are able to initially access one or more servers, micro-segmentation puts a stop to it. It increases application visibility so unusual behavior is more quickly detected. This prevents intruders from being able to move laterally through a cloud environment across data centers to access all servers. It helps minimize the impact of a breach. Taking proactive measures to prevent clients’ data loss or disclosure is a vital aspect in the field of law. Failure to adequately do so is not only an ethics issue that could adversely affect a firm’s reputation, it could also result in noncompliance. Unfortunately, the changing landscape of cybersecurity has left many offices vulnerable to attack. By following these small, but important steps, firms are able to fight to defend the data they have been tasked with protecting. Although the criminals might seem to be a few steps ahead of everyone else, by working together with the LS-ISAO and other agencies, the legal profession will prevail.